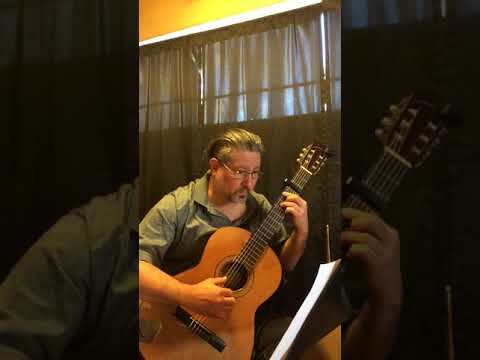 Arturo Antonio Guevara is an extremely talented fingerstyle guitarist. He earned his B.A degree in music from Cal State Fullerton. ranging from Latin American to Metal. Playing hits from Pink Floyd, Bob Marley, Metallica, and others. Tony was professional and his music was delightful, the perfect backdrop for our tea. Several of our guests asked where we found him and wanted his info. 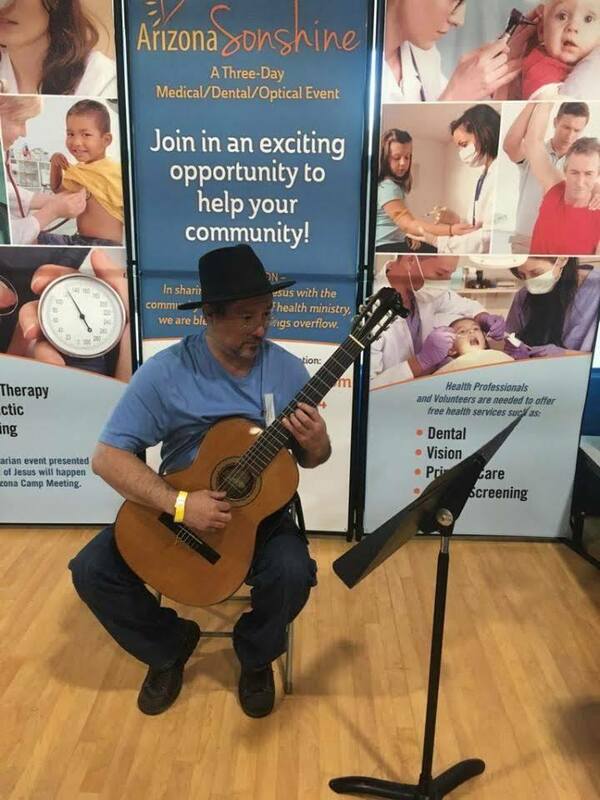 On March 22 and 23, 2019, Arturo performed a full length concert of varied selections of Classical and Spanish-styled guitar music to an enthusiastic crowd at Arizona Sonshine in Payson. He made many spirits bright with his music. 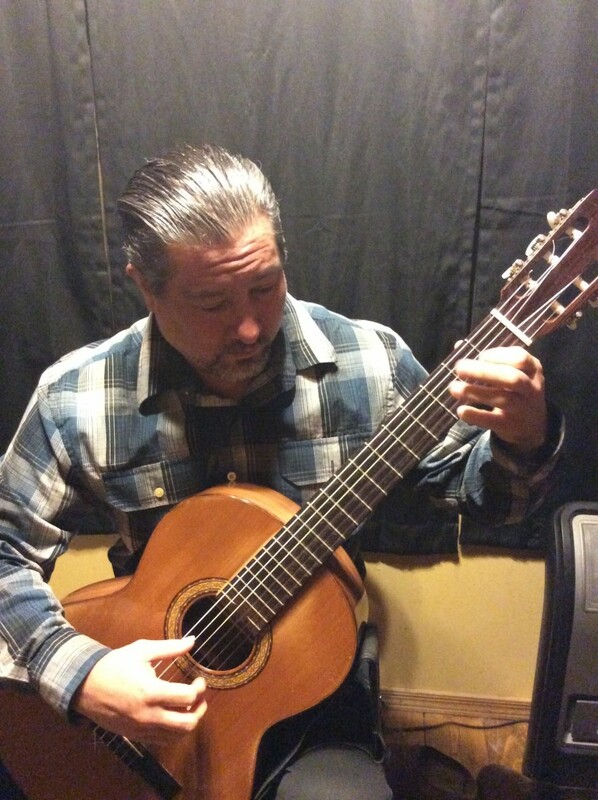 'Tony' has been playing Brazilian Classical Guitar at various Payson coffee houses since 2010. In 2011 we hired Tony to preform on weekends at our restaurant, and he became a fan favorite of our patrons. Fast forward to 2019, Tony has added to his repertoire to include contemporary artists such as Bob Marley, Eagles, Simon and Garfunkel, Beatles and even Pink Floyd and Metallica. We now have Tony appearing 3 to 4 times a week during our busy lunch times. The music has wider appeal, good for young and old. Kudos, Tony! I play different genres of songs using finger style technique, ranging from Latin American to Metal. Playing hits from Pink Floyd, Bob Marley, Metallica, and others. I have set list of music that I play for up to 3 hours. 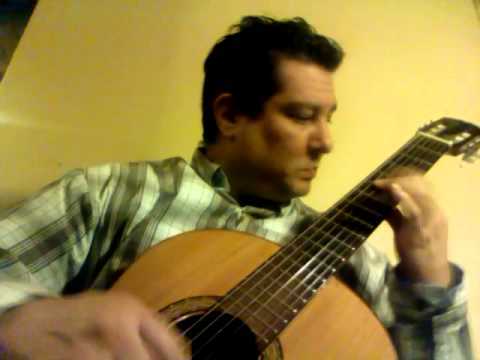 Arturo Antonio Guevara is an extremely talented fingerstyle guitarist. He earned his B.A degree in music from Cal State Fullerton. Currently Guevara has been doing private parties, weddings, fund raiser's and restaurants. 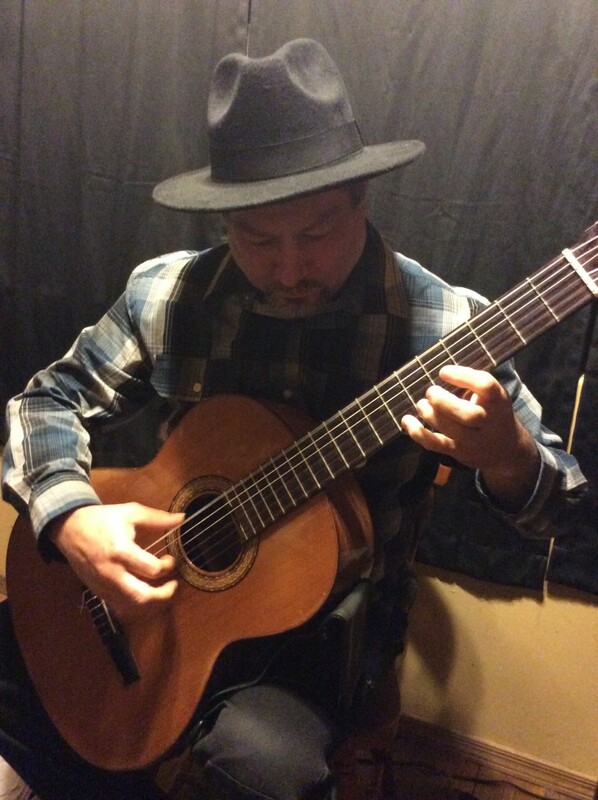 He covers different genres of songs with his finger style technique ranging from Latin American to Metal. Playing hits from Pink Floyd, Bob Marley, Metallica, and others. My guitar has a pick up so that I can be plug in. I do have an amp that I use at restaurants, However depending on many people there will be. I would be better heard if you had your own sound person that I could plug into. I also would need enough lighting so that I can read the music. Chair with No arm rest on like a folding chair. Would Prefer to have a sound person that I can plug into depending on event.